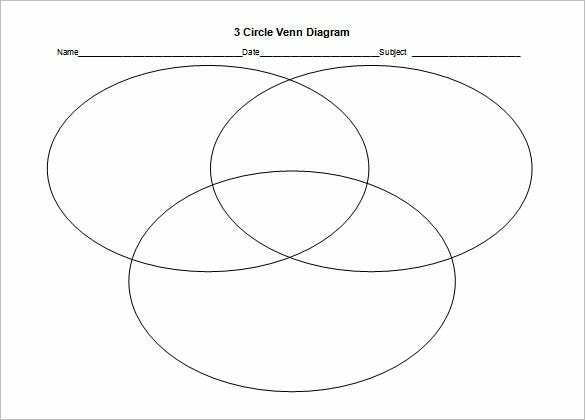 7+ Triple Venn Diagram Templates – Free Sample, Example Format Download! 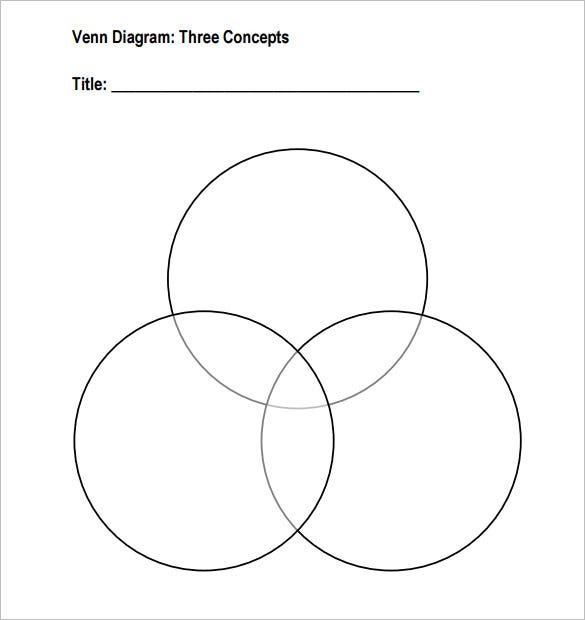 Triple Venn diagrams are for comparing and contrasting three themes, topics, or concepts. These can be utilised quite well by students, teachers and even professionals who make business presentations. 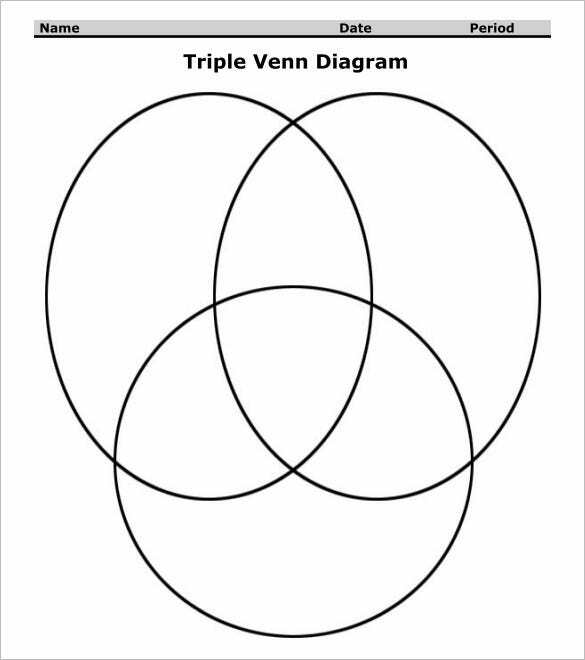 Even marketing sectors may use the three Venn diagram for demonstrating overlaps in the markets. 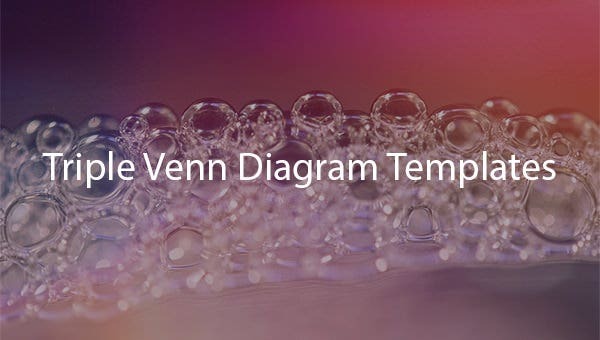 They are quite useful template which can be attached to e-mails, spreadsheets, documents and presentations quite easily. 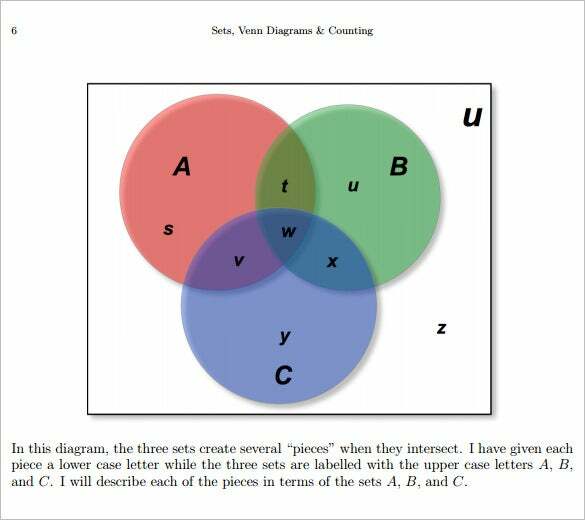 You can also see Venn Diagram PowerPoint Templates. abcteach.com An overlap of three cycles for presenting the relationship among three items. 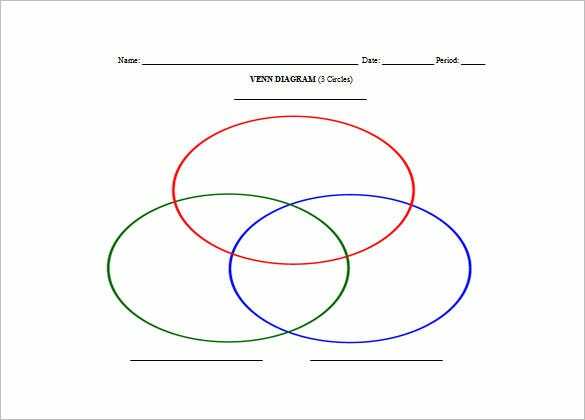 This blank diagram template shows the relationship among two items and all three items in the overlap sections. freeology.com This is a template mad of three oval rings stretched vertically. 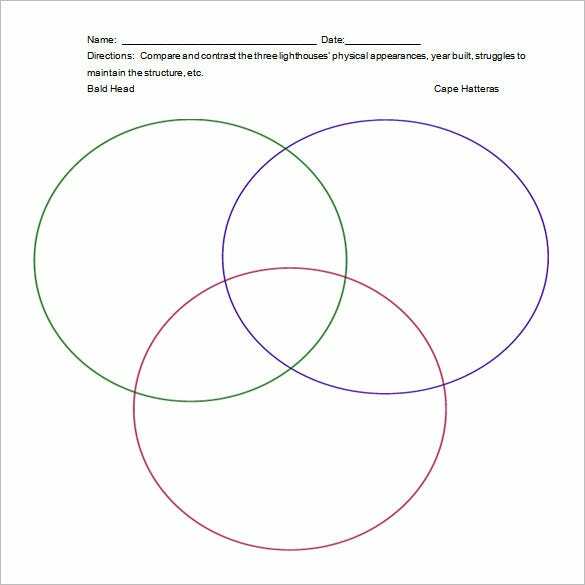 The overlap allows for showing the relationships among all three rings and that between two rings. There is a place for writing name, date and the period. studenthandouts.com Arranged in a triangular shape, the three cycles makes the diagram template presentable. 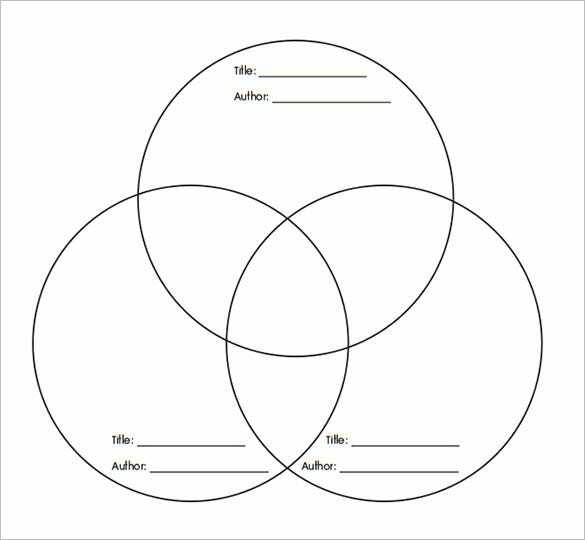 It is a simple, plain diagram for presenting the relationships among three items and two items too. 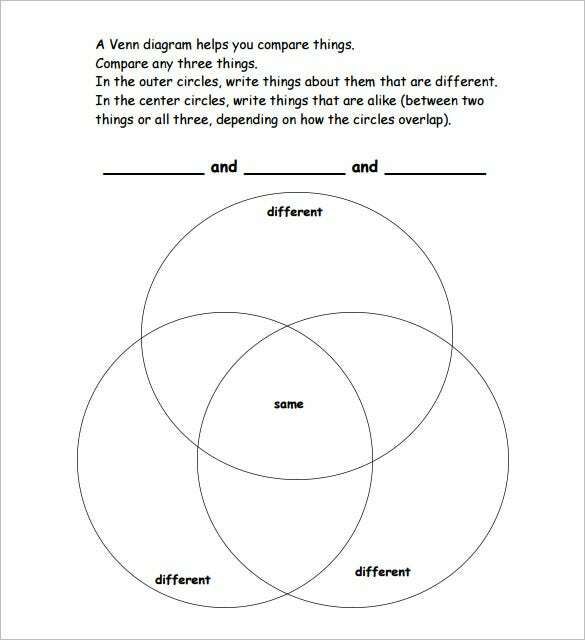 You can easily download the venn diagram sample for free. They are available on PSD or JPG format which allows you to operate them with Word, Excel, Power Point and other similar software.